Seaford showed tremendous fighting spirit to nick a point against their free-scoring opponents from Bray. It was a largely uneventful first half, with few efforts on goal. Ryan Scollard drove at the Ardmore defence and shot just wide on 20 minutes, and his strike partner Peter Tierney was denied by a James Quiney save late in the half. In between, the clearest chance of the opening period fell to Ardmore's Dylan O'Neill, who was left at a tap-in at the back post only for keeper Eoin English to somehow divert the ball onto the post. Tierney opened the scoring just after half-time, slotting home after being found by Dave Devaney's through-ball, but Ardmore levelled with a stunning overhead kick from Paul O'Rourke shortly afterwards. The visitors took the lead on 76 minutes after a short corner, when Barry Gleeson prodded John Treanor's cross into the net, and moments later the outcome was nearly put beyond doubt when Sean Cleary rattled the crossbar from range. But it was the home side who snatched the crucial goal after the 90 minutes had elapsed. 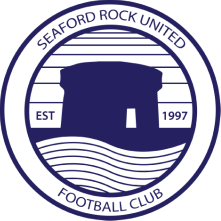 Quiney lost the flight of Paul Tansey's inswinging free kick, and Seaford managed to keep the ball alive at the back post, allowing top scorer Tierney to slam the ball into the net from close range to ensure that the points were shared.